Glass is a wonderful material that is able to be worked into many uses around the home. Shelving made from polished toughened safety glass in varying thickness from clear, tinted to obscure glass looks good in any room and is able to support the heaviest of loads. 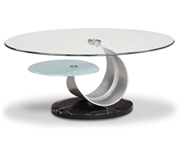 Table Tops made from polished toughened safety glass in varying thickness from clear to tinted glass. Glass can be beveled, drilled and sandblasted into virtually any shape or size. UV Bonding is a crystal clear glue enabling us to bond glass to glass and glass to metal by UV Light to create glass furniture from tables, hi-if racks to tv stands. 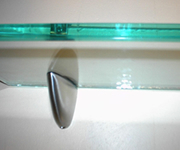 We provide all types of glass for the DIY ethusiast and trade sales.